Home » » Withdrawal from excess crude accounts; did the president act beyond his powers? | Eloho Yekovie Esq. Withdrawal from excess crude accounts; did the president act beyond his powers? | Eloho Yekovie Esq. There has been a lot of partisan rowdiness amongst Nigerians following the President’s withdrawal of $496 million from the Excess Crude Account, without prior approval of the National Assembly or appropriation. The primary issue is whether or not President Buhari had acted ultra vires and in the process violated the tenets of the Constitution? According to Investopedia, “Excess Crude Account is a Nigerian government account used to save oil revenues above a base amount derived from a defined benchmark price”. The Excess Crude Account was established in 2004 during the President Olusegun Obasanjo’s administration, and its objective is primarily to protect planned budgets against shortfalls due to volatile crude oil prices. By delinking government expenditures from oil revenues, the Excess Crude Account aims to insulate the Nigerian economy from external shocks. It also seeks to protect public expenditure from being patterned on the boom and bust cycle of the international oil market. Recently, controversies steered up as President Buhari approved the withdrawal of $462 million from the Excess Crude Account (ECA) to the United States for the procurement of 12 Super Tucano fighter jets(aircrafts) to fight insecurity in the country without prior approval of the National Assembly. The Presidency held that a letter was sent to the National Assembly on 13th April 2018, stating that, the U.S. government had given a payment deadline for the aircraft purchase, hence, the need for the hasty approval and payment and also that the money be included in the 2018 Appropriation Bill/budget which is yet to be passed by the National Assembly. It was also submitted that the decision of the President was also informed on the ground that there was an earlier resolution passed to that effect by the state Governors at NEC meeting held on 14th December 2017 that up to $1billion from the Excess Crude Account may be utilized to address the security emergencies in the country. There has been lot of debates on this debacle as to the legality of the Withdrawal of $496 million by the President without approval from the National Assembly. From the foregoing, the fact that the President had given an anticipatory approval for the withdrawal of the cash and paid before a public announcement of the approval shows demonstrable evidence of crass Executive Lawlessness which has hindered the progress of our democracy over the years. This act by the President is an utter disregard for the constitution of Federal Republic of Nigeria thus an impeachable offence as held by Senator Chukwuka Utazi who prayed the senate for Section 143 of the Constitution to be invoked so as to initiate the impeachment process of the President. “(2) No moneys shall be withdrawn from the Consolidated Revenue Fund of the Federation except to meet expenditure that is charged upon the fund by the Constitution or where the issue of those moneys has been authorized by an Appropriation Act, Supplementary Appropriation Act or an Act passed in pursuance of Section 81 of this Constitution. “(3) No amounts of money shall be withdrawn from any public fund of the Federation, other than the Consolidated Revenue Fund of the Federation unless the issue of those amounts of money has been authorized by an Act of the National Assembly. The inherent role of the National Assembly is clarified i.e., the government is not allowed by the Constitution to spend any money that has not been duly appropriated for or without due authorization. In the letter written to the National Assembly, two pertinent questions should be considered; the first is that if the money expended is included in the 2018 Appropriation Budget, does it not legalize the unconstitutional act of Mr. President retrospectively? On the other hand, in the said letter informing the National Assembly of its expenditure, there was no mention of any legal authorization from the National Assembly as required by law; instead the President stated that he granted “anticipatory approval”, is he legally empowered to make any such approval? This entire scenario makes a joke of the government and projects the importance of separation of powers which is a device that guards against abuse of power or political liberty from any arm of government. Inherent in this doctrine of separation of power is the principle of checks and balances. The separation of these powers serves to check each organ and balance their operations without encroachment of one by the other as affirmed by the Supreme court in UNONGO V APER AKU(1983 2 SC NLR 332 at 361). By this action, the President has technically suspended the Constitution, plundered the inherent powers of the National Assembly which is a master of its own household as submitted by Kayode Eso, JSC (as he then was) in AG BENDEL STATE V A.G FEDERATION (1981) 10 SC 1 AT 198 albeit, the exception to this sovereignty is where the powers of the legislature have been specifically restricted by the constitution. Furthermore, in law, one of the twelve maxims of Equity says that, “where there is a wrong, there is a remedy”, and in this case it applies as the Judiciary is well furnished to remedy the wrong occasioned by Mr. President. Interestingly, the Judiciary having been empowered by Section 6 of the constitution is at the apex of this checks and balances; it has the principal duty of inquiring into the legalities of acts of the executive and the legislature. Any question as to whether the executive has acted intra or ultra vires or has complied with the procedures, manner or form prescribed by law is determined by a court of competent jurisdiction. This supervisory role of the judiciary over the executive was affirmed by the Supreme Court in GARBA V UNIVERSITY OF MAIDUGURI (1981) 3 NCLR 47. Thus, the judiciary should rise to the occasion as usual and invoke its constitutional powers to ensure that the monies expended are duly refunded to the Excess Crude Accounts by the Presidency. To this end, the powers conferred upon the executive under the constitution are too wide and enormous that it has puff the members of the executive. This had led to deleterious maneuvers which have crippled democracy in Nigeria. There is the need for a review of the immunity guaranteed to Chief executives so as to limit the immunity to civil actions and lift the veil of immunity as well to criminal actions. In future, instead of going down the path of illegality, the President should lobby and cajole lawmakers on a matter this important and urgent. In as much as the government wants to tackle security challenges, it shouldn’t violate the Letters and Spirit of the Constitution, so there will be no room for bad precedence. Eloho Yekovie Esq. 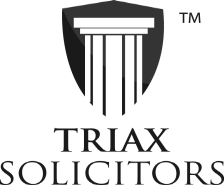 is an Associate of Triax Solicitors, an indigenous Law Firm with offices in Abuja and Bayelsa state. 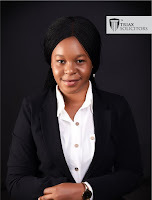 We are a niche expertise Law firm which comprised of young, hardworking legal practitioners who are making waves in their core areas of competence as well as in continuous legal education and development.